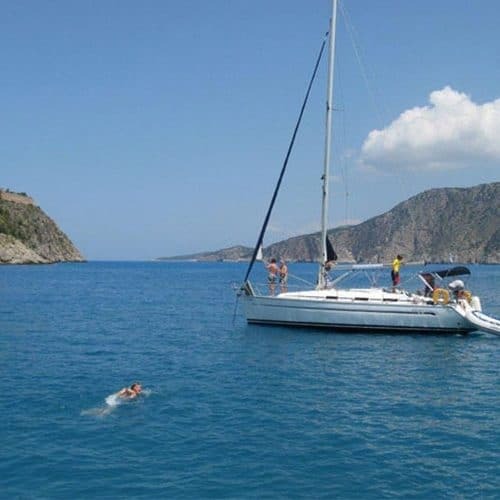 A Yacht Charter in Greece from the Ionian Island of Kefalonia is a fantastic sailing holiday in a stunning location. Perfect breezes, easy to reach islands and a fascinating history. 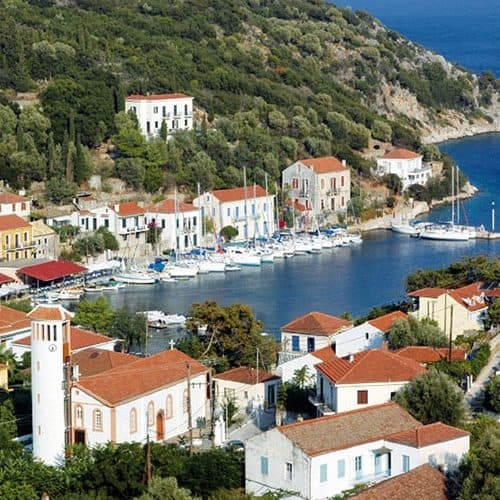 Ag.Efimia on the Greek Ionian island of Kefalonia is a great departure point to explore the other islands of Ithaka, Meganissi, Lefkas and Kalamos to name but a few. This is for sailors who already have a practical yacht sailing qualification and previous experience, who are keen to set off independently and discover new islands under their own steam, on exceptionally well-maintained yachts and with our first class, friendly back up. Our flotilla and charter yacht base in Ag. 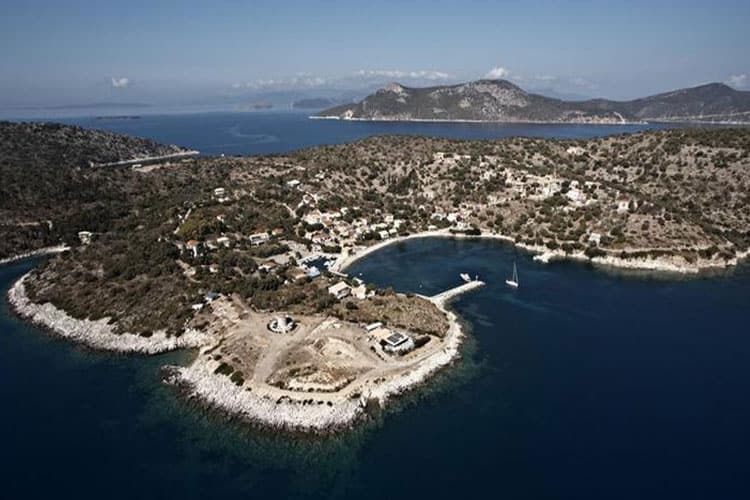 Efimia is the perfect starting point to explore the wonderful Southern Ionian islands. 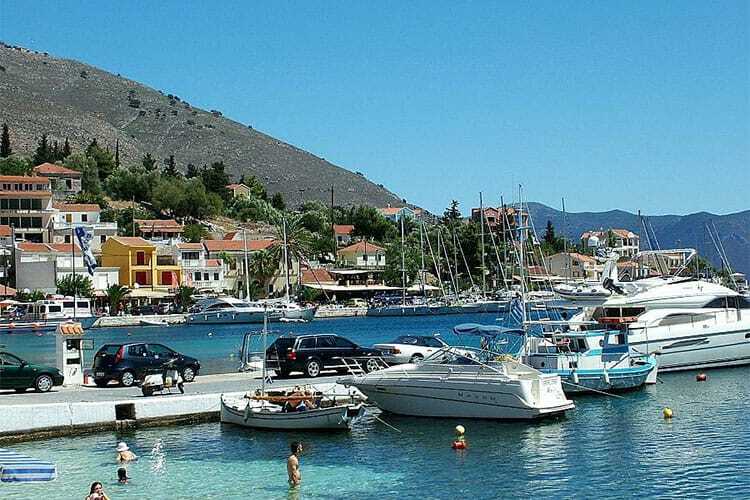 About 50 mins from the airport in Kefalonia this lovely little harbour has excellent facilities, a perfect place to prepare for a weeks sailing ahead. Sheltered sailing and an easy itinerary with short island-hopping distances make this cruising area perfect for those looking for a less demanding sailing holiday. 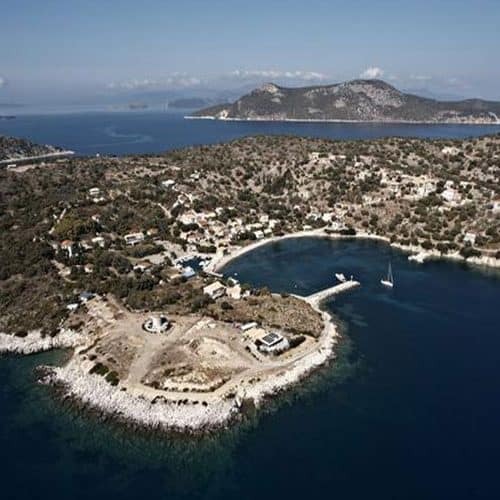 An abundance of stunning clear water inlets, protected bays to anchor in and quaint harbour towns to explore. 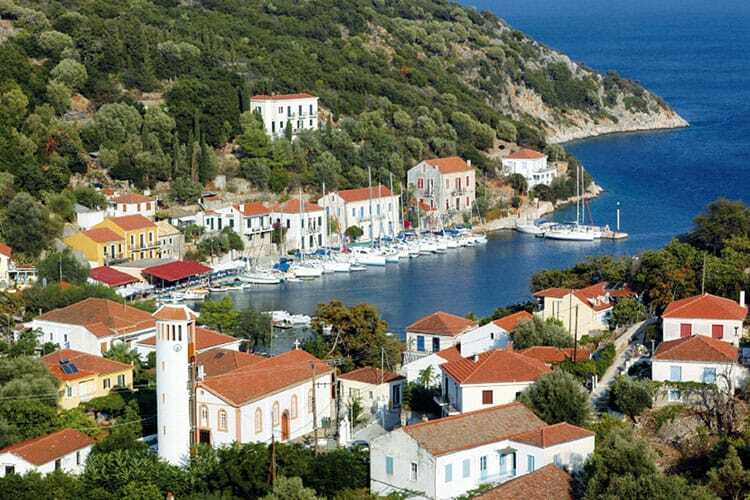 Ithaki, Lefkas, Kalamos and Kastos are a few of the islands usually en route. This is for sailors who already have a practical sailing qualification and previous experience, and are keen to set off independently and discover new islands under their own steam, on exceptionally well-maintained yachts and with our first class back up. It’s a fantastic cruising area with line-of-sight sailing in a stunning cruising area without tides. We provide daily communication with FREE on board yacht phones and can suggest itinerary and weather report updates. We’ve a great range of yachts available to suit you and your budget. 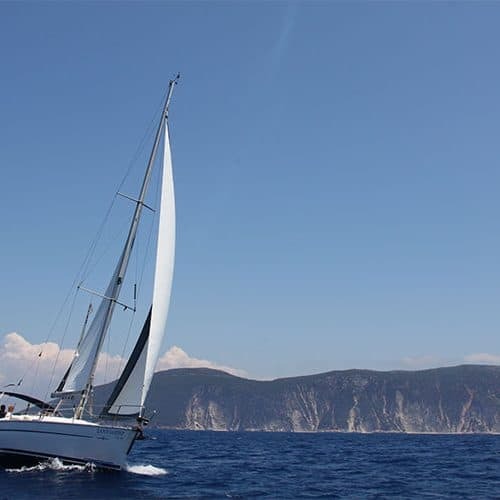 All the yachts from our own Flotilla fleet and Sailing School fleet are available for bare boat charter from our bases on Kefalonia. 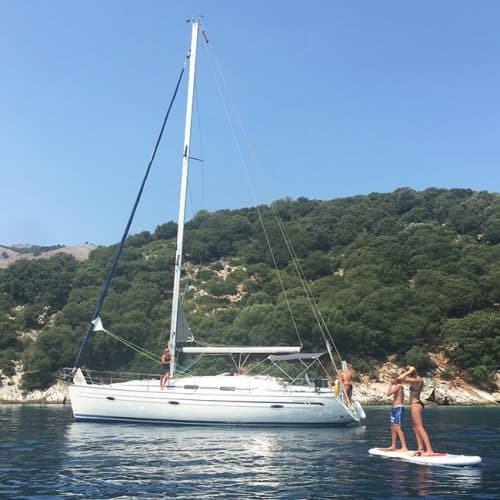 We also act as agents for trusted yacht partners from Kefalonia and Lefkas and can provide all types of yacht from 30′ to 55′ with our without a skipper or training. Just ask for details. Whatever yacht we offer, you can be sure they are incredibly well maintained and immaculately presented on arrival with a yacht and safety briefing and a handy starter pack to get you going. And don’t worry, a solid back up service for the duration of your yacht charter is always provided. Our yacht charters run from mid April to mid October. Our fleet of yachts are available for both mid-week (Tues) and weekend (Sunday) departures. Sun Hat or Oil Skins ? Sails up or motor ? 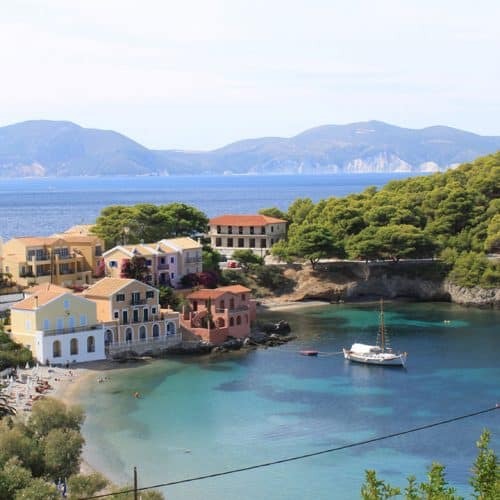 From our base in Ag.Efimia on Kefalonia – the nearby islands of Ithaka, Meganissi, Lefkas, Kalamos and Kastos are all within easy reach. Below is an example of an itinerary that works nicely – obviously there are lots of different islands to visit, and countless anchorages for 1 or 2 week charters. (5NM) West we go, the short distance across the gulf. It’s the first day on the water and if required we spend time practising mooring techniques and boat familiaristation. Nestled under the towering Mt Aenos lies Sami, the ancient capital of the whole area. A great little place with a brilliant bakery right there on the quay. It’s well worth the hike up the donkey trail to the ancient citadel for a knock out view of the Ionian. 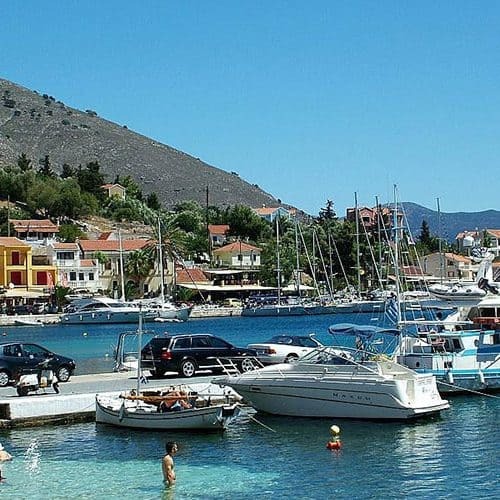 (20NM) Enjoy a northerly sail up the gulf and over to Sivota on the south east coast of Lefkas island. Verdant hillsides join seamlessly with rocky coves and sandy bays to create a picture postcard setting. The harbour is a sight to behold, with a small flotilla of colourful local fishing boats found lining the shore. Shops, tavernas, cafes and mini markets are all close by. 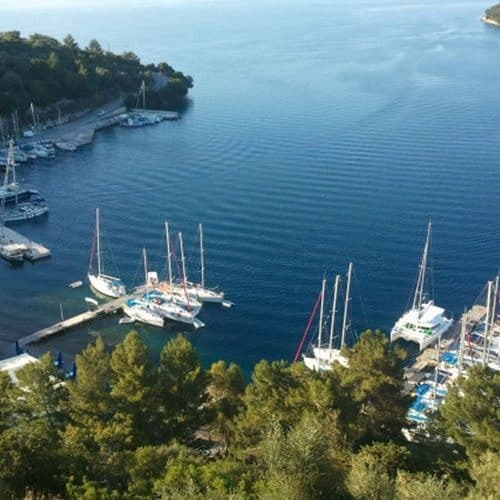 (5NM) A really easy day today, a short sail through the Meganisi channel to the captivating little harbour of Vathi on Meganisi island. A late start and early finish. Pastel-coloured houses huddle on the clifftop over looking the deep blue bay below – where you happen to be moored up. 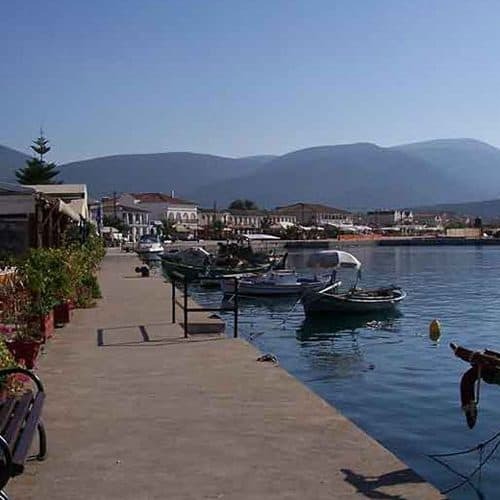 Wander around the old harbour and village and discover another world and some brilliant tavernas. Great swimming, great food and quite simply heaven on earth. You’ll never want to leave here. 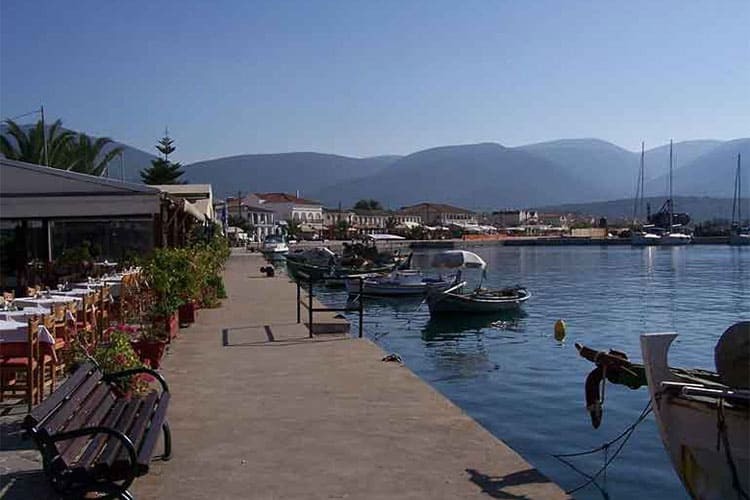 (8NM) Kalamos is probably our favourite little place in the Ionian. Honestly, time has stood still here. 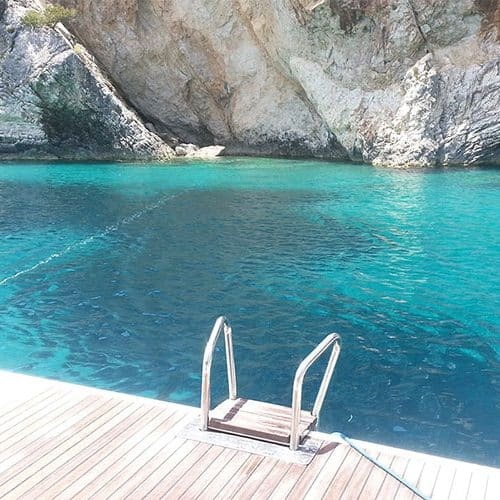 An abundance of bays to anchor in along the way, perfect for snorkeling and exploring. Stern to on the quay if there’s space, if not a long line ashore. Grab a beer and watch the yachts coming in with the brilliant harbour master “George” taking charge ! (12NM) Today we turn 180 degrees and head east. 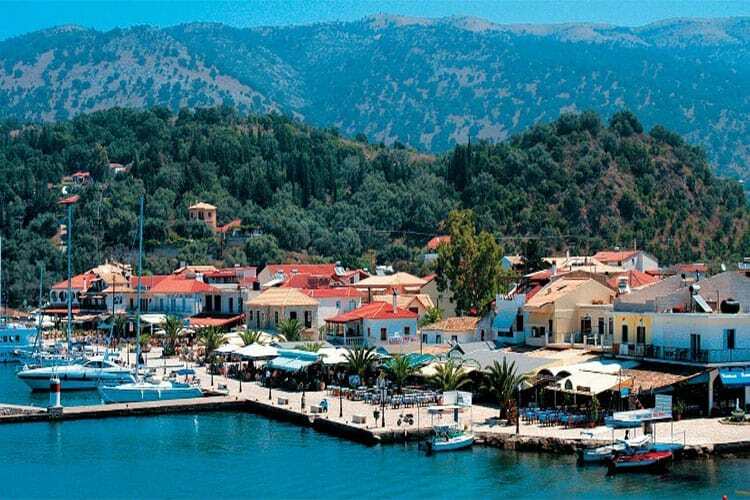 Around the foot of Kastos island, and we sail past the island of Atoko towards the famed home of Odysseus on the enchanting island of Ithaki. Kioni harbour is a real gem. The entrance is overlooked by three old windmills, and from here one sees the old village houses dotted on the hillsides behind the little port. The water is clear and there are four beaches within the bay itself, all with views across to the pastel coloured houses and surrounding olive groves. To charter a yacht in Greece as part of a flotilla, or independently you will need a qualified skipper on board, and a competent crew member. The ICC ( International Certificate of Competence ) is probably the best ticket to have as it is widely recognised by the authorities here on the islands. This, or the Day Skipperpractical certificates are the minimum required. No qualification or a bit rusty ? If you already have some previous yacht sailing experience but would like to brush up you skills or need an ICC qualification, we can offer an instructor on board your yacht for 2 or 3 days. After the course you will be able to confidently skipper a yacht under the guidance of our lead crew, putting all your new found skills into practice. The instructor will be on board during the day but off the yacht at night so you still have your privacy. 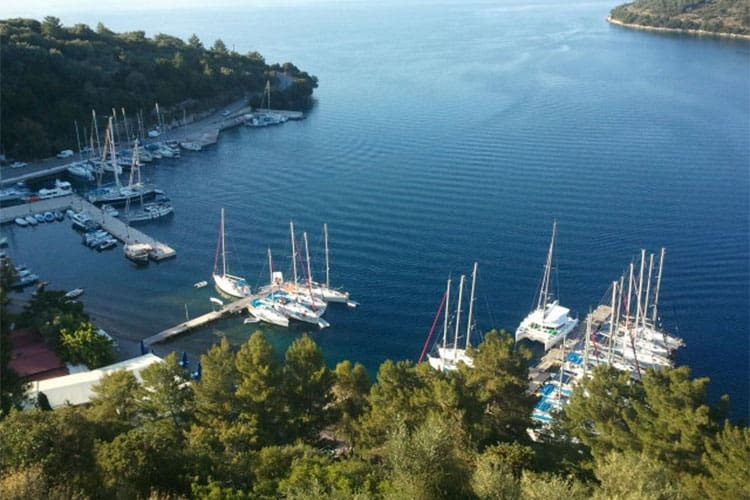 We offer a pre-flotilla training week for beginners where you can gain an ICC as part of the holiday, have a look at our Learn to Sail holidays. 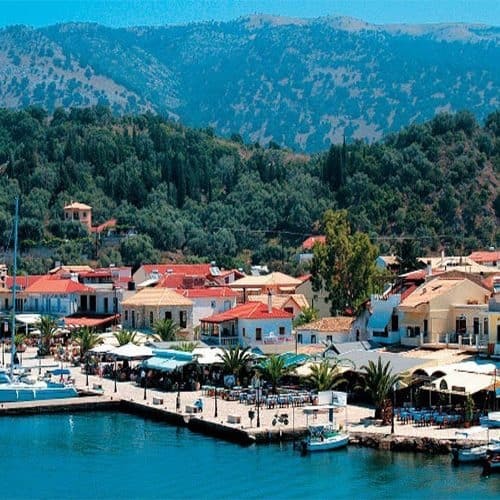 From classic Greek kitchen dishes cooked by Mamma, seasonal salads, mind blowing tomatoes and freshly grilled sardines, pork chops and club sandwiches – the food in Kefalonia and other Ionian Islands on a flotilla holiday is delicious and very reasonable. With 48 variety’s of grape grown locally and some very fine internationally recognised wines to try, along with some fantastic Hellenic beers, there’s plenty to enjoy. 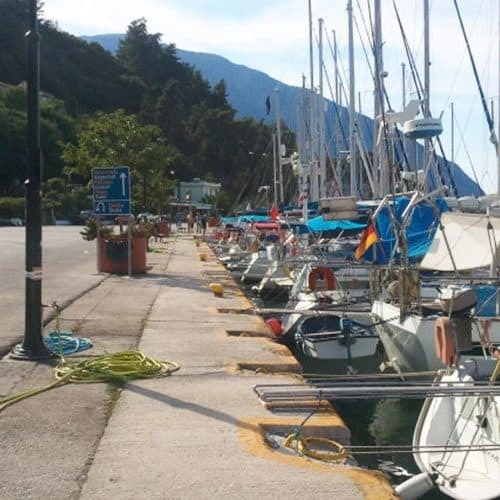 Our yacht base in Ag Efimia has an exclellent selcton of mini markets, bakeries and other shops.